Storage Crate is rated 4.5 out of 5 by 8. Rated 5 out of 5 by BaileysGirl213 from Great for the Car Our family uses these in the trunk to store emergency supplies and for groceries so tall or unstable items like 2L soda bottles do not falll over and roll to the back. Makes life much easier! Rated 5 out of 5 by Melly from Just what I needed! I needed something to use for storage in my basement after Sandy destroyed everything. I purchased these crates and they have worked out well. They stack neatly on top of each other. Rated 5 out of 5 by Mary Trinkley from Sturdy I have several of these in my pantry. I use them to hold smaller items that would ordinarily fall off the shelving units without being inside these crates: spices, smaller cans of fruits and vegetables. 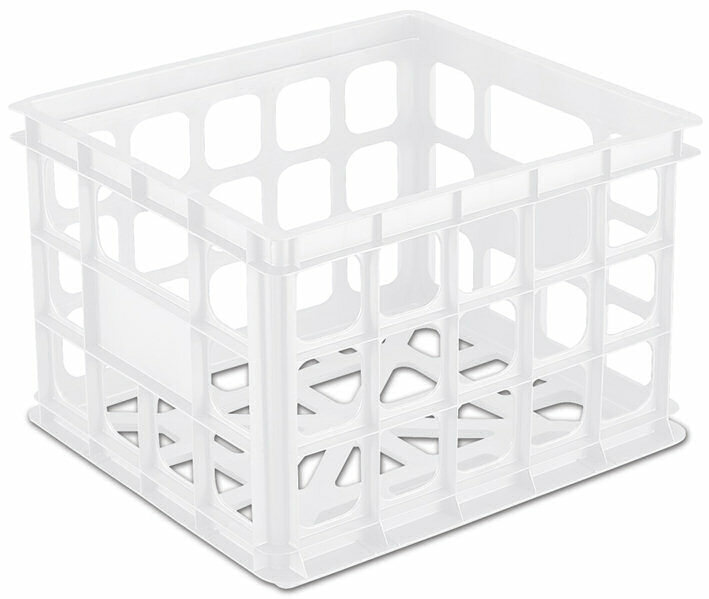 I also keep my cleaning products in one of these; makes it easy to grab and go from room to room when I am cleaning. Rated 4 out of 5 by ShirlGirl from handy office storage I recently purchased 3 of these to store my college textbooks that I use as resource material. They stack well and make a handy, small bookcase of sorts in my tiny office. There are many other uses for these crates, too many to list here. Be creative with them and see what you can do. Rated 3 out of 5 by visible file from file Great for having a mobile, visible and accessible file. Also great for organization. 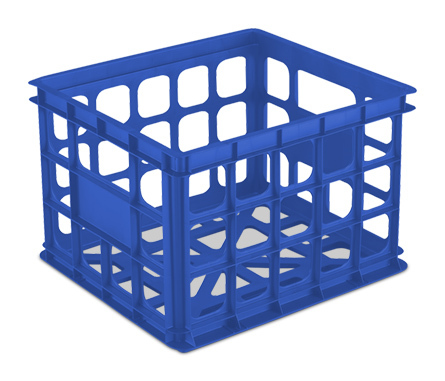 Rated 5 out of 5 by valamac from Great For a Classroom I have several of these storage crates in my classroom. On of the best uses, holding lunch boxes after lunch while students go to recess. Rated 5 out of 5 by Heidi from Great crate I mostly love the color! 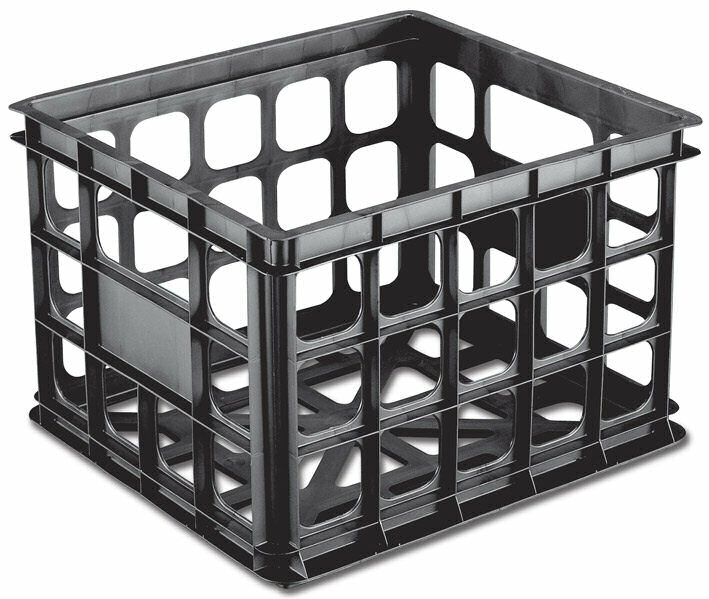 The crate is so useful, I use them for everything from packing to storing to crafts, etc.